Geometric and organic – terms that often rest at opposite ends of the spectrum. 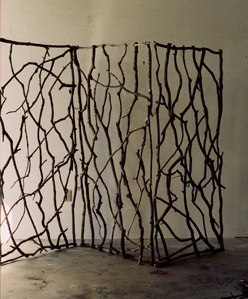 However, it’s the embodiment of this juxtaposition that resonates through the work of fine artist Paul Schick. 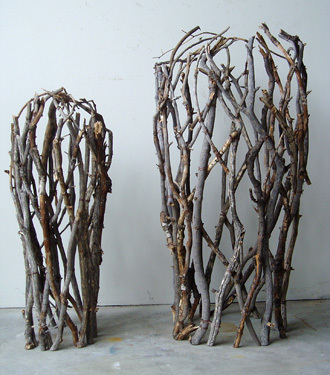 Schick is a Mountain View, CA based artist who creates sculpture and wall hangings from natural wood elements, or as stated on his website, organic fine art branch and twig sculpture. 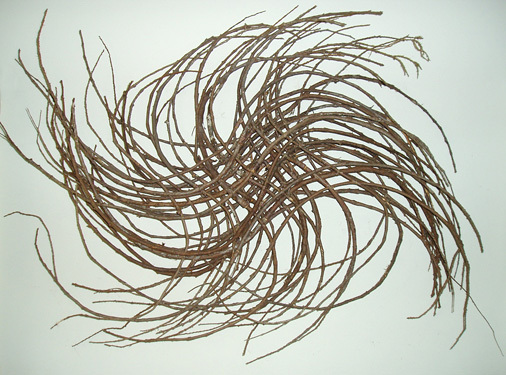 Materials include, but are not limited to; madrone, birch, redwood and drift wood. 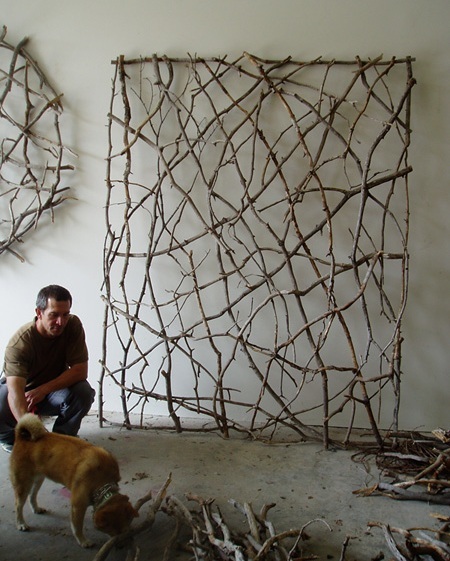 Many of his pieces take form as large geometric shapes – rectangles, squares and circles. Others look like giant pinwheels. All have a kinetic vibe to them that represents the push and pull between the contemporary and the rustic, the found and the made. It’s for this reason that Paul’s pieces have been featured in some of the finest hotels, retail spaces, restaurants and spas in the nation. 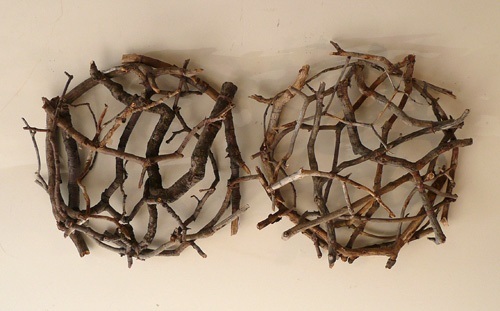 In my mind’s eye, I see a large twig panel, lit from below and hung from the wall of a covered outdoor entry or patio. What a stunning statement, full of energy and beauty.